MOVE IN READY! 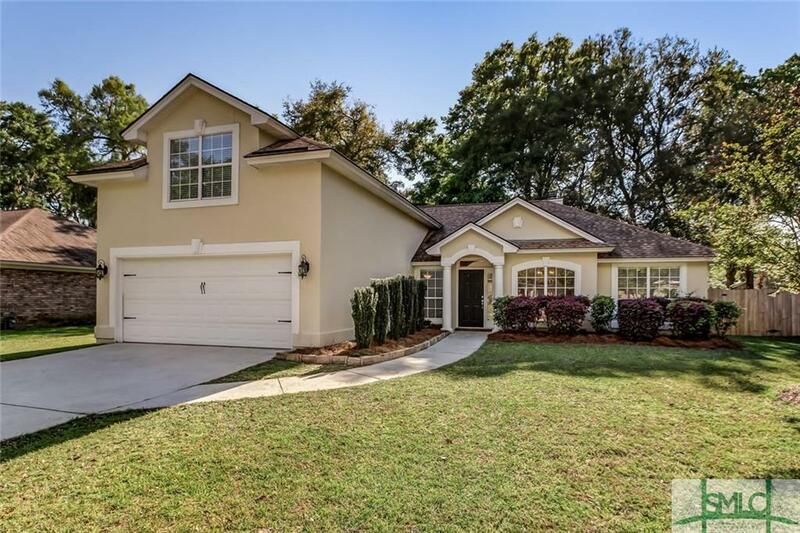 Situated in Wilmington Islandâs Palmetto Cove, this stunning 4 bed 2 bath home boasts fresh paint and new carpet throughout! The homeâs spacious floor plan includes a large formal dining room and sun-kissed living area complete with custom built-ins and a warm fireplace. Many culinary delights are sure to be made in the homeâs fully upgraded kitchen offering gorgeous granite counter tops and brand-new stainless-steel appliances. New homeowners will enjoy a main level master suite complete with a lovely tray ceiling and luxury bath with desired double vanity, jetted tub, and separate shower. Upstairs bonus room serves as a 4th bedroom or guest retreat. The homeâs screened porch and privacy fenced backyard with mossy oak canopy provides the perfect place to relax and unwind. Conveniently located just minutes from Tybee Island and beautiful downtown Savannah!